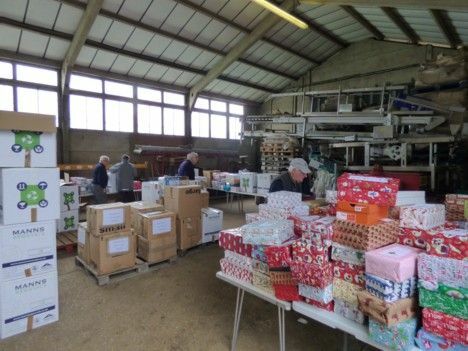 Once again, Cranleigh Rotarians have been playing a leading role in the collection of gift-laden shoe boxes for deprived and disabled children in western Romania, in collaboration with local schools and churches. These gifts of clothes or toys may, for some children, represent the only Christmas gift they receive. 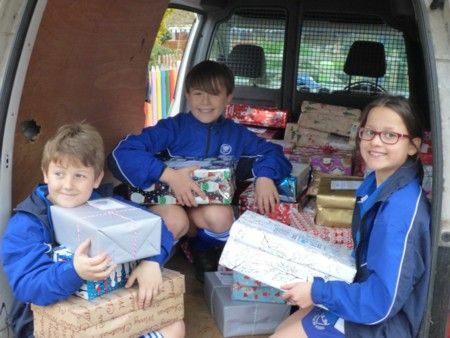 This year 12 local schools donated more than 925 gift-filled boxes, with a further 225 being donated by the community and church parishioners from Cranleigh and Shalford. Another 350 boxes arrived from church parishioners in Kent, Sussex and Dorset. Altogether, over 1500 boxes, as well as several suitcases of clothes and householditems, were despatched by truck from Cranleigh on 24 November, with delivery to Romania expected a week later. This annual, nationwide donation effort, extending from Poole to Dundee, is aimed at helping a Christian Centre in Hunedoara, western Romania, which was set up by Corneliu and Diana Medrea in 1999. As well as conducting Christian activities, the Centre also seeks to develop practical projects to meet the dire physical and material needs of those around them. With the aid they have received, they have created not only a community social care centre, but have also provided showers and washing facilities for children whose families have no running water or electricity. In addition, there is a daily meals programme for children who have little or no food and they also operate after-school clubs to support the educational needs of illiterate children. 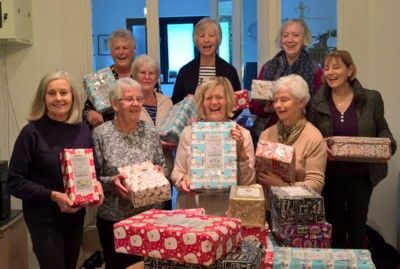 Over the past 12 years, it is estimated that Cranleigh and local communities have donated in excess of 8,000 boxes - a remarkable demonstration of generosity and commitment. Photo caption: Rotary wives and ladies from the Methodist Church enjoy filling some shoe boxes.